Brain cells of a human body, or Neurons, are extremely complex cells that send and receive electro-chemical signals in the body. Managing diseases in these cells have been and is still a very challenging task. Neurological diseases are a multifaceted problem, hence requires a multifocal approach to deal with them. The most common form of disorder to brain cells is when a bunch of abnormal brain cells sparkles to produce Epilepsy, which is also known as fits. In spite of advanced CT, MRI and PET scans, it is difficult to locate the abnormal areas that are responsible for fits. This limitation is now eliminated with the use of Continuous VIDEO ASSISTED EEG MONITORING- a technique in which a patient is continuously studied in a dedicated laboratory for two to three days. The abnormal electrical brain waves that are recorded in this way helps in locating the diseased area of the brain. Another form of disorder to the neurons is Brain stroke or Brain attack, which causes paralysis of limbs and is equivalent to Heart attacks in the aspect of fatality and extent of damage to the body. Aneurysms or abnormal dilatation of brain vessels is another fatal condition, which can be treated with coils and balloons using the same interventional techniques. Global Hospitals & Healthcity, Chennai, has such a multifocal state of the art, comprehensive neuro care center – The Institute of Neurosciences and Spinal disorders. The center comprises of 3 highly qualified and experienced doctors – Dr. J. K. B. C. Parthiban (HOD – Neuro Surgery & Spine unit), Dr. S. Dinesh Nayak(Senior consultant – Neurologist & Epileptologist) and Dr. Selvapandian (Senior Consultant – Neuro Surgery & Interventional Neuro Radiology). These three specialists work as a team to give a new lease of life to the patients in need, suffering from illnesses that range from Severe Brain Injury to Acute Stroke, Epilepsy and Brain cancers. Global Hospital & Health city is the only centre in south India to have the facility of Video Assisted EEG Monitoring available continuously for 72 hrs. In case of epilepsy, this form of monitoring can detect the abnormality in the brain easily and at an early stage. “Since 95% of fits can be effectively managed by medications, the remaining 5% (Refractable Epilepsy) of patients can be benefited by excising those abnormal areas using high profile delicate micro surgeries i.e., Epilepsy Surgery”, says Dr. Dinesh Nayak. At Global Hospitals, a team of Neurophyscians and Neurosurgeons execute the treatment process for epilepsy with great competency and high success rates. In case of paralysis of the brain, Global Neurosciences centre is the only centre of its kind to have a team of Interventional Neurosurgeons and Neuroradilogists working together in the same CATH LAB. “If treated during the golden hours i.e., – within one hour after the attack, brain paralysis can be reversible. Blood Clots that obstruct the vessels can be dissolved by using Pin Hole Techniques i.e., Interventional Neurovascular procedures”, says Dr. Selvapandian. In the recent times, a Nigerian girl’s broken neck bones were surgically removed and the crushed spinal cord was decompressed (freed), which facilitated recovery of limb functions and reduction in the stiffness. This paved way for the overall improvement in her mobility. Dr. J. K. B. C. Parthiban, the HOD of the department highlights the value of delayed decompression of the crushed spinal cord and claims that this was the most challenging spinal surgery of all. Ever since the successful spine surgery of the Nigerian girl, Global Hsopital’s Spinal Department has attracted the attention of many people from different parts of the globe suffering from Spine illness. The Institute of Neurosciences and Spinal disorders of Global Hospitals & Healthcity provides complete and comprehensive neuro-care under one roof and is managed by very efficient doctors who are specialists in each subdivision. A one-of-its-kind Acute Stroke, Head and Spine Injury Care Unit has also been established to cater to all Neuro emergencies round the clock. In a critical scenario, where neurological disorders invade the human body at a lightning pace, there is a need for centres of excellence to challenge its fatality and Global Hospitals & Healthcity presents just the right mix of technology and expertise to handle these cases. Osteoporosis or “porous bone” - a common metabolic bone disorder affecting 200 million people worldwide –is a slow progressing and silent disease that becomes symptomatic with a fracture. Osteoporosis affects both men and women, usually as they grow older. Adequate steps taken can reduce the risk of developing osteoporosis and avoid the debilitating bone fracture, which occurs because of the disease. Osteoporosis is a metabolic bone disorder characterised by low bone density and deterioration of bone micro architecture that reduces bone strength and increases the risk of fracture especially of the hip, spine and wrist. Human bone is involved in the process of continuous remodelling, comprising of bone resorption and new bone formation. Osteoporosis is the result of imbalance in bone remodelling. In osteoporosis, there is too much bone loss and too little repair or vice-a-versa, resulting in low bone mass. This causes the bones to become thinner and structurally weaker. This imbalance gets more pronounced with advancing age and hence elderly people are more susceptible to osteoporosis. Physical exercise programmes tailored to the needs of the individual patient. This includes balance training, postural training, resistance training, stretching and weight bearing aerobic exercise. In patients with severe osteoporosis, activities that require vigorous flexing or rotation of the spine should be avoided. Bisphosphonates (alendronate, risedronate, ibandronate and zolendronic acid): These have been approved for the prevention and treatment of postmenopausal osteoporosis in women and osteoporosis in men. Calcitonin: This medication is given usually as a nasal spray or as an injection under the skin. This is helpful in controlling the pain after an osteoporotic vertebral fracture. Estrogen or Hormone Replacement Therapy: This medication reduces the risk of osteoporosis and osteoporotic fracture. This increases the risk for breast cancer, stroke, and heart attack. Selective Oestrogen Receptor Modulators (SERMs): This medication mimics the good effects of oestrogen in bone without the serious side effects (breast cancer). Teripartide (forteo): This medication is a form of parathyroid hormone that helps to stimulate the bone formation. In Osteoporosis, the bones are weak and break easily, resulting in severe limitation of activities and bring down the quality of life as well increase the risk of death, especially after 65 years. Osteoporosis occurs in both sexes but is more common in women. Osteoporosis may not be outwardly apparent until a fracture occurs. It can be detected before the first fracture, if the risk factors are identified and BMD test are done in time. It is never too early to adopt preventive measures or too late to begin treatment to prevent further fracture. The more you know about the prevention and treatment of osteoporosis the better are your chances of staying active and independent. In the fast-growing consumer society today, things are getting easier for even school kids to obtain. A fast-food store like McDonald’s is right next to schools advertising a “Happy Meal.” Soda vending machines are available in schools. Fast foods and sodas is neither restricted nor banned products and increasing number of parents buy these foods to appease their children and save time without imagining the harmful effects of these foods. The result is that 30.5 percent of adults are considered obese and obesity is killing more people than smoking. These shocking statements are not imaginary but these are facts of the world, in which we live. The Obesity has reached epidemic proportions globally, with more than 1 billion adults overweight - at least 300 million of them clinically obese - and is a major contributor to the global burden of chronic disease and disability. Often coexisting in developing countries with under-nutrition, obesity is a complex condition, with serious social and psychological dimensions, affecting virtually all ages and socioeconomic groups. Obesity has become an epidemic across the world and if steps are not taken immediately – both at individual levels as well as at national levels – obesity can become a calamity. Calculate your BMI on a regular basis to check if you are getting obese. Also, keep a note of your calorie intake. So, next time you pick up a pack of chips or aerated drink or chocolate, glance through the nutritional facts and calories! Obesity is an irreversible disease. 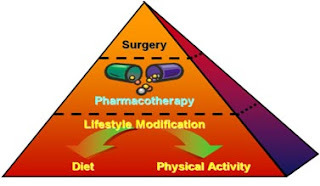 Proper diet and physical activities are any day preferred to any other forms of treatment. Medicines are of limited value in the treatment of Obesity. Only, Morbid Obesity (BMI > 40) usually requires surgery as other forms of weight management fail to provide satisfactory and sustained weight loss. 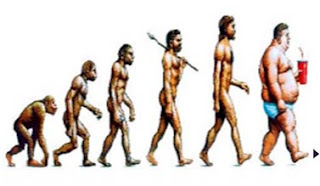 Morbid obesity affects the normal mechanical, metabolic, and physiological bodily function. These "co-morbidities" affect nearly every organ in the body in some way, and produce serious secondary illnesses, which may also be life threatening. The cumulative effect of these co-morbidities can interfere with a normal and productive life and can seriously shorten life, as well. For morbid obesity, as mentioned above, there is remedy – Bariatric Surgery. India being the DIABETES CAPITAL with about 50 million estimated diabetics, obesity only worsens the situation, as it is a major contributor to diabetes. In such a situation, where can you seek help for this epidemic? Some say the government should take charge of the situation like in the cases of seatbelt and smoking laws. Others say that it is the responsibility of the private sector. Actually, it has to be a joint effort. The government should have some control over what people are consuming and should regulate fast food. Fast food joints and soda makers should be more socially conscious than just a moneymaking body. People should also be more aware, keep control of their diet, and get proper exercise. Freedom is a birth right….so is health! Why not claim it! DIABETES MELLITUS - FOOT CARE – You can take care. In diabetic subjects, loss of the foot and sometimes the loss of life are very well known. However what is not known is that, foot is the only organ in diabetes where effective prevention can be undertaken. Prevention of the complications of the foot can be done using simple techniques which will be detailed here. Unlike the brain, the heart, the kidney and the inside of the eye, feet is visible to us and so the status of the foot can be seen at least on a daily basis. What is also not known is the fact that once the complications of the foot set in, one ends up being admitted to the hospital more often than the complications of the other organs. Infections of the foot occur frequently requiring frequent hospitalization and the use of expensive drugs to control the infection. Thus neglected feet prove to be most expensive. The reality that one cannot walk and therefore become dependent on others for even for the simple basic things in life is the worst scenario an unfortunate person wakes up to suddenly. The brightest side of things is that all this can be prevented by following some simple rules. It's all about taking good care of your feet. Theses are some of the steps we can adopt. Know how and when to test your blood sugar. Eat regular meals that contain a variety of healthy, low-fat, high-fibre foods including fruits and vegetables each day. Increase your physical activity each day. You may have serious foot problems, but feel no pain. Check your feet for cuts, sores, red spots, swelling, and infected toenails. Find a time (evening is best) to check your feet each day. Make checking your feet part of your every day routine. If you have trouble bending over to see your feet, use a plastic mirror to help. You also can ask a family member to help you. Wash your feet in warm, not hot, water. Do not soak your feet, because your skin will get dry. Dry your feet well. Be sure to dry between your toes. Use talcum powder to keep the skin between your toes dry. Rub a thin coat of skin lotion, cream, or petroleum jelly on the tops and bottoms of your feet. Do not put lotion or cream between your toes, because this might cause an infection. After bathing or showering, use a pumice stone to smooth corns and calluses. A pumice stone is a type of rock used to smooth the skin. Rub gently, only in one direction, to avoid tearing the skin. Do not cut corns and calluses. Don't use razor blades, corn plasters, or liquid corn and callus removers -- they can damage your skin. If you have corns and calluses, check with your doctor. Trim your toenails with clippers after you wash and dry your feet. Trim toenails straight across and smooth them with an emery board or nail file. Don't cut into the corners of the toenail. If you can't see well, or if your toenails are thick, have a doctor trim them. Do not walk barefoot -- not even indoors -- because it is easy to step on something and hurt your feet. Always wear footwear with soft insoles and firm outer soles to help avoid blisters and sores. Choose socks made of cotton. They help keep your feet dry. Check the insides of your footwear before you put them on to be sure the lining is smooth and that there are no objects in them. Wear footwear that fit well and protect your feet. Wear your footwear at the beach or on hot pavement. Put sun screen on the top of your feet to prevent sunburn. Keep your feet away from radiators and open fires. Check your feet often in cold weather to avoid frostbite. Don't wear tight socks, elastic or rubber bands, or garters around your legs. Don't smoke. Smoking reduces blood flow to your feet. Ask your doctor or nurse to help you stop smoking. Walking, swimming, and bicycling are good forms of exercise that are easy on the feet. Avoid activities that are hard on the feet, such as running and jumping. Always include a short warm-up and cool-down period. Wear athletic shoes that fit well and that provide good support. · Tell you if you are likely to have serious foot problems. If you have serious foot problems, your feet should be checked at every visit to your doctor. · Show you how to care for your feet. · Refer you to a specialist, if needed. MOST IMPORTANT ASK YOUR DOCTOR WHEN YOU SHOULD NOT WALK, WHEN SHOULD WEAR SPECIAL FOOTWEAR. WHEN SHOULD YOU STOP WALKING AS AN EXERCISE AND USE NON WALKING EXCERSISES? YOU MAY HAVE TO AVOID WALKING IF YOU HAVE A CONDITION CALLED CHARCOTS FOOT. Remember an unprotected, ignorant or neglected foot walks to its grave.